The Packer Ranter: No real analysis, but at least we're pretty. : Jordy Kent? Look at the picture below. 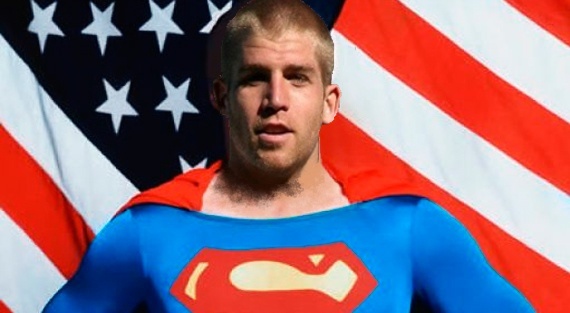 Now, close your eyes and picture Jordy in blue spandex and wearing a bright red cape. Not too far fetched, is it? I have no idea if Jordy Nelson's arch-enemy is a bald, criminal mastermind who coached high school basketball in Indiana the fifties, but I ask you this: have you ever seen Superman and Jordy Nelson in the same place at the same time? Looks pretty good, but I prefer him in Green and Gold.